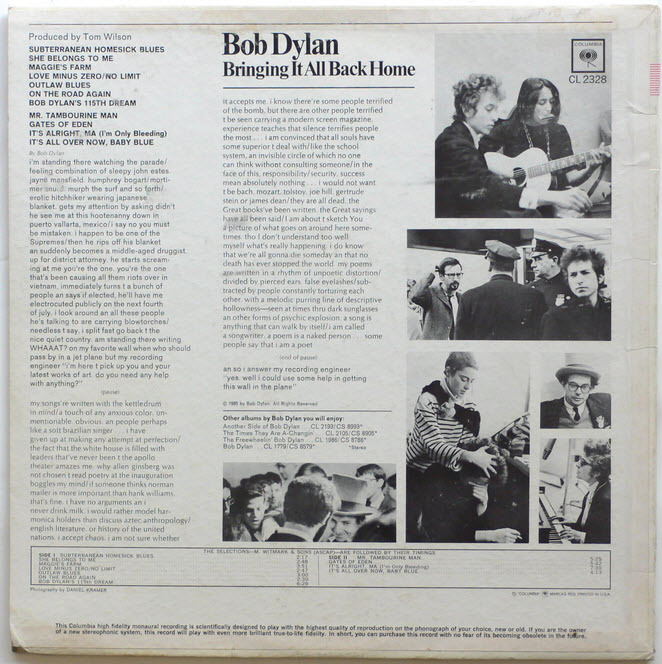 Among other things, Bringing It All Back Home had a substantial effect on the language of a generation..
One of Dylan’s most celebrated albums, Bringing It All Back Home was soon hailed as one of the greatest albums in rock history. In 2003, the album was ranked number 31 on Rolling Stone magazine’s list of the 500 greatest albums of all time. 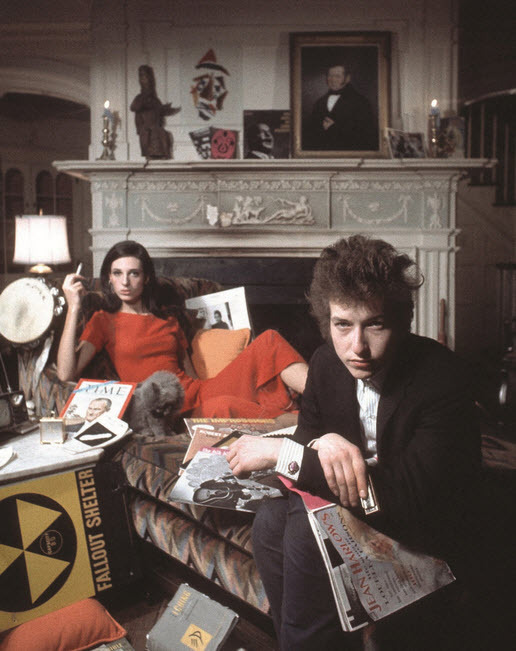 The album closes with “It’s All Over Now, Baby Blue“, …… However, the lyric easily fits in with the main theme of the album, Dylan’s rejection of political folk, taking the form of a good-bye to his former, protest-folk self, according to the Rough Guide to Bob Dylan. 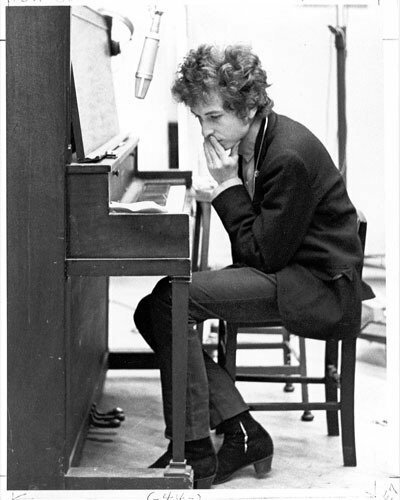 According to this reading, Dylan sings to himself to “Leave your stepping stones [his political repertoire] behind, something calls for you. 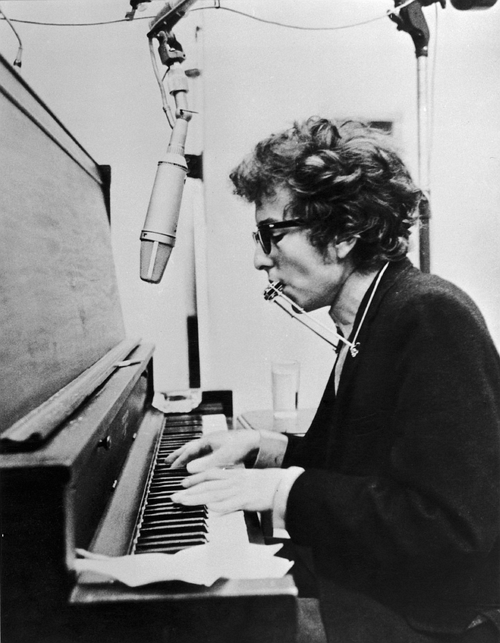 Forget the dead you’ve left [folkies], they will not follow you…Strike another match, go start anew.” The only musician besides Dylan to play on the song is Bill Lee on bass guitar. 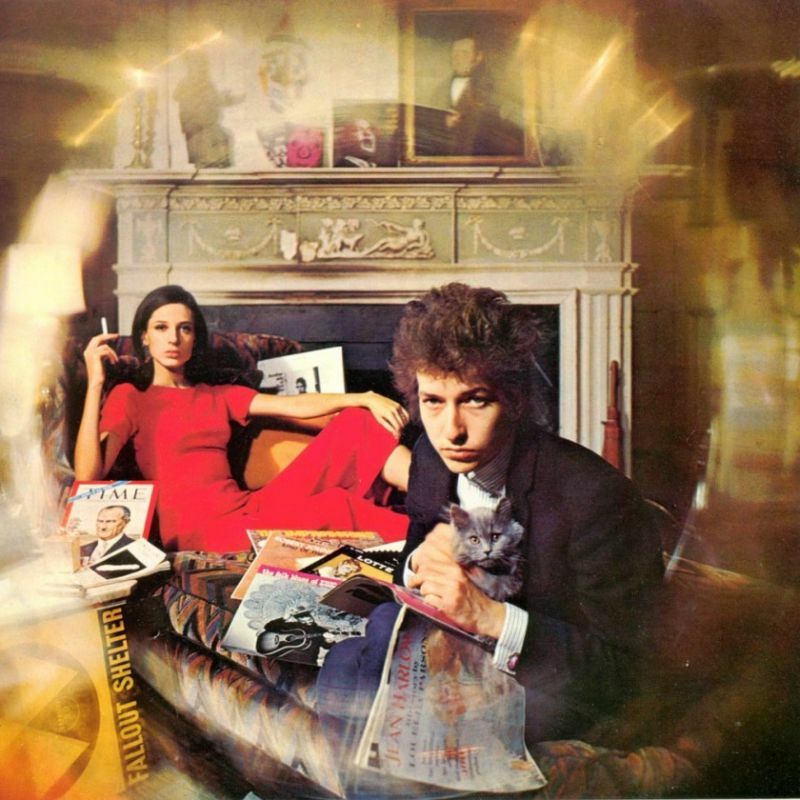 As it seems to happen with many of Bob’s albums , I wish he would have left off tracks 5,6 and 7 and instead used Farewell Angelina / Four letter Word and Lay down Your Weary Tune. In my opinion it would then have been an unsurpassable masterpiece. 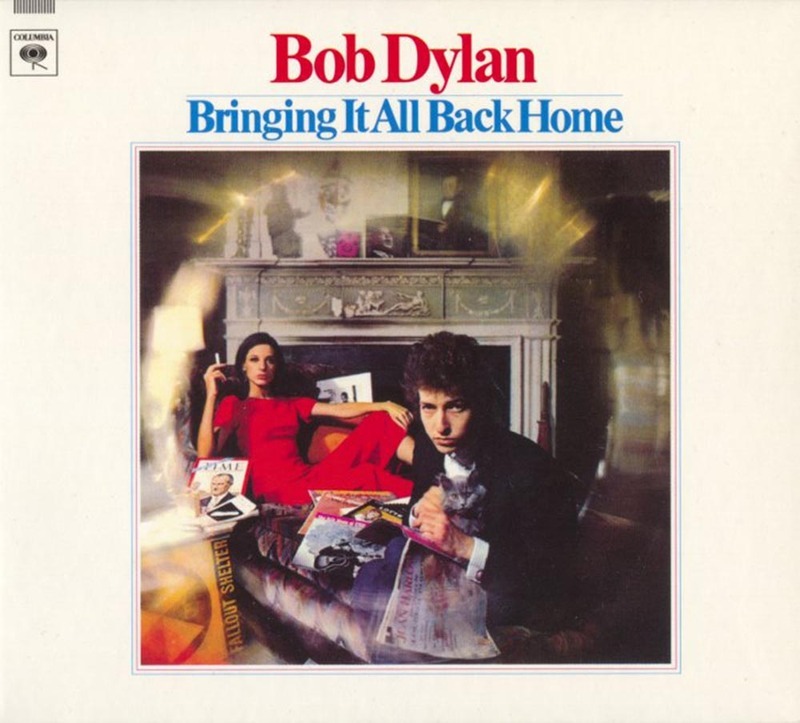 It’s strange to say this but after hearing, “Bringing it all back home” and seeing Bob in concert in 1966 at San Diego Civic Center my life was different forever., I went alone as no one I knew was into that life changing psycodellica/folk music. I was totally blown away. This slight young troubadour in all black and hair as wild as a tumbleweed sang and it went right into my soul. I would never be the same again. It was like entering a new and earth shattering galaxy. I never knew words and music could take you to such places. My world was changed forever. 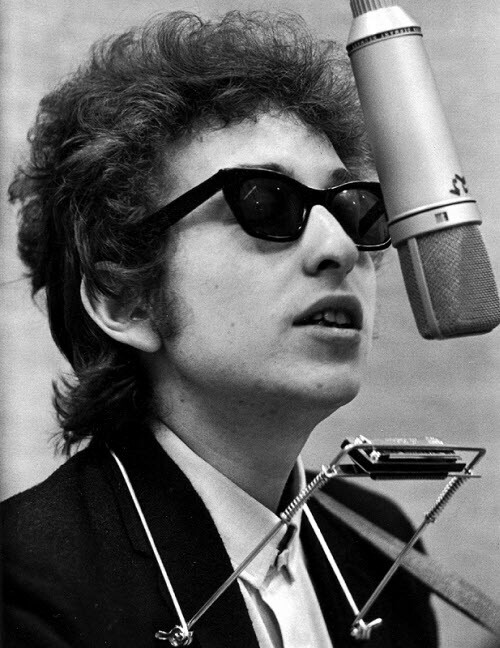 The only thing that ever changed me more then His’ music was the one being that created it all, even Dylan’s gift, Jesus Christ. What a true trip Jesus was, is and will be for eternity. Never tire of listening to the album, particularly as it contains 3 of my top ten: Love Minus Zero, Mr Tambourine Man and It’s Alright, Ma !!!! !